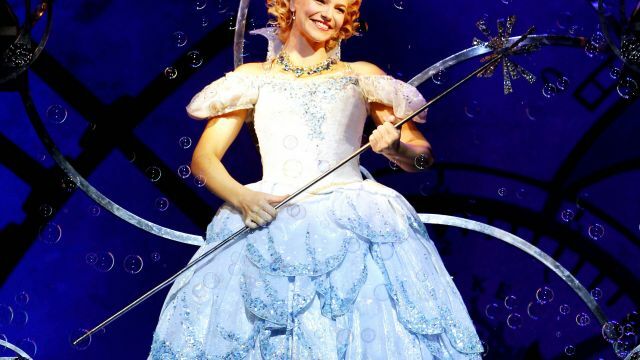 Leading Australian theatre producer John Frost has announced that the role of Glinda in the 2015 Brisbane and Perth seasons of the Broadway musical will be played by Suzie Mathers, taking over from Lucy Durack who is leaving at the end of the Sydney season for her next “thrillifying” role … as a mother. 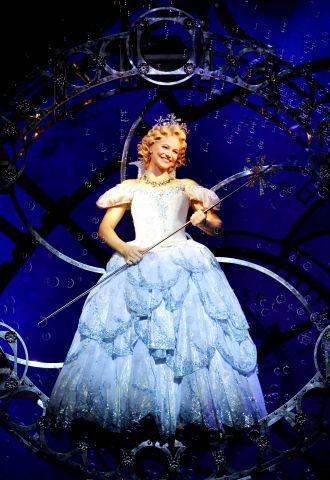 As an original ensemble member of WICKED in 2008, Suzie took over the role of Glinda in 2011, performing in Singapore, South Korea, New Zealand and Manila to much critical acclaim. Most recently Suzie has been living in London, where she appeared in a new musical production of Jaberwocky at the St James Theatre, and in Hello Jerry! with the RTE Concert Orchestra in Dublin. This 10thAnniversary tour of “Broadway’s biggest blockbuster”(The New York Times) also stars Jemma Rix as Elphaba, Steve Danielsen as Fiyero, Maggie Kirkpatrick as Madame Morrible, Emily Cascarino as Nessarose, Edward Grey as Boq, Glen Hogstrom as Dr Dillamond and Simon Gallaher as The Wizard in the Brisbane and Perth seasons. Broadway’s #1 show for an unprecedented eleven consecutive years, WICKED has been declared “A Cultural Phenomenon” by Variety and “The Best Musical of the Decade” by Entertainment Weekly. When WICKED opened on Broadway, it worked its magic on critics and audiences alike. Winner of over 90 major awards including the Grammy Award, three Tony Awards and seven Helpmann® Awards including Best Musical, WICKED is the untold story of the witches of Oz. Long before Dorothy drops in, two other girls meet in the land of Oz. One, born with emerald-green skin, is smart, fiery and misunderstood. The other is beautiful, ambitious and very popular. WICKED tells the story of their remarkable odyssey, how these two unlikely friends grow to become the Wicked Witch of the West and Glinda the Good. Based on the novel by Gregory Maguire, WICKED has music and lyrics by Stephen Schwartz, and a book by Winnie Holzman. The production features musical staging by Wayne Cilento and is directed by Lisa Leguillou, based on the original direction by Joe Mantello. WICKED is produced by Marc Platt, David Stone, Universal Pictures, The Araca Group, Jon B. Platt and John Frost. WICKED plays at Sydney’s Capitol Theatre until January 30, then transfers to the Lyric Theatre, QPAC from 12 February and to the Crown Theatre, Burswood from 3 May for a strictly limited season.